Scarred for Life by Kerry Wilkinson. 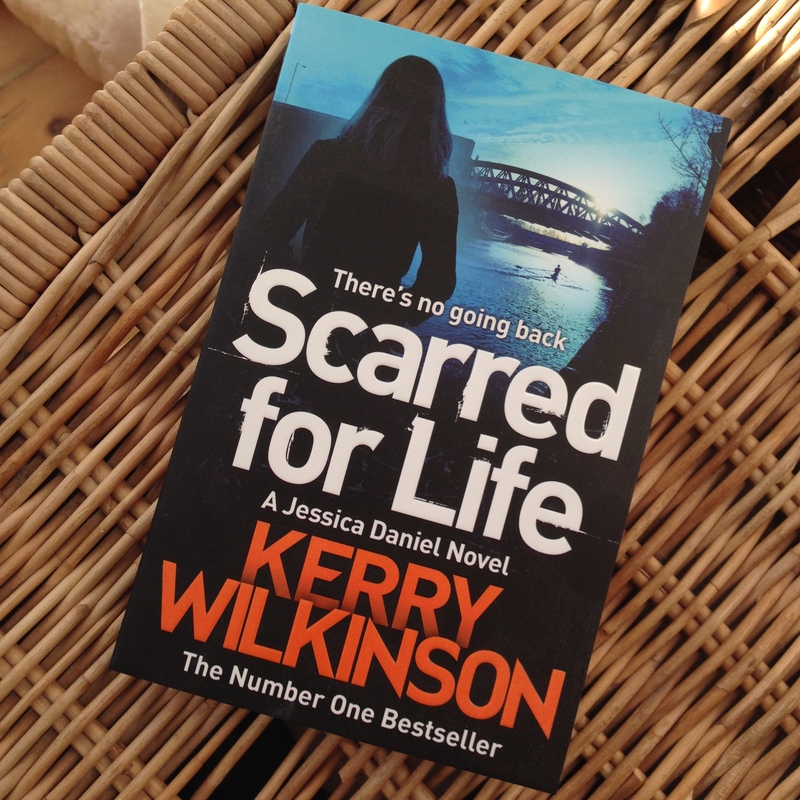 Although I read a fair amount of crime novels, the Jessica Daniel series by Kerry Wilkinson had rather passed me by until Kerry’s publicist sent me a copy of Scarred For Life, the latest title in the series. I really enjoyed the book and liked Jessica, Kerry’s Mancunian detective inspector very much. I’m definitely planning to go back and read some of the earlier novels in the series. I don’t have space to review the book in depth, but if you don’t want to take my word for it then a little light searching will find you literally thousands of reviews of his books. I did however pin Kerry down for an email interview as I was curious about his journey from self-published amateur to best-seller and darling of his publisher, Pan Macmillan. Read on to the end to find out how you can be in the draw for a copy of Scarred For Life. Q: Kerry, your career seems to have been jet-propelled. When did you start writing? KW: In terms of actual writing, I’ve been working as a journalist, both paid and not, since I was about 13 or 14. I wrote cricket match reports for the local paper which are probably horrific crimes against the English language in retrospect. In terms of fiction, I only started in 2011. I’m not sure it can be called a ‘break’ as such, but I self-published in the same year and things happened from there. Q: Before you self-published, did you try the conventional route of submitting your manuscript to agents and publishers? KW: I never set out to be a full-time author, I was only trying something new to see if I liked it. I looked into a traditional approach – three chapters to an agent, wait for the rejection, start to hate yourself and life in general – but I’m not much of a tradition-type person anyway. I saw the ‘self-publish with us’ button on the bottom of an Amazon page and figured I’d give that a go. 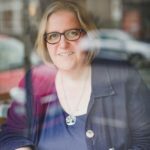 Q: You were hugely successful as a Kindle author – their best-selling author in 2011 – so what lured you over to conventional publishing and Pan Macmillan? KW: I’d be lying if I said it wasn’t the money… On top of that, working with a traditional publisher offered a chance to do something new. Things have gone well, so I’ve stuck with it. I do miss the control, the tinkering and the experimenting of self-publishing, though. The actual writing of the book is only part of the job of being an author in 2015 and I enjoy many of the other bits that go with it – especially the online, digital stuff. Interacting with readers before, during and after a release is massively rewarding as well. Q: One of the big differences between self-published and conventionally published books is that the latter will have been edited – sometimes heavily. How has that gone – did you have to change much or are the novels out now in paperback pretty much the same as the originals? KW: With my young adult novel, Reckoning, there was a lot of rewriting, reordering and tinkering. It’s a lot better for it. My crime books have very little work done to them. The second draft I send to my agent is almost exactly what comes out in print, save for correcting a few typos. I don’t know if that’s a good or bad thing. As long as readers enjoy the books, I guess that’s good! 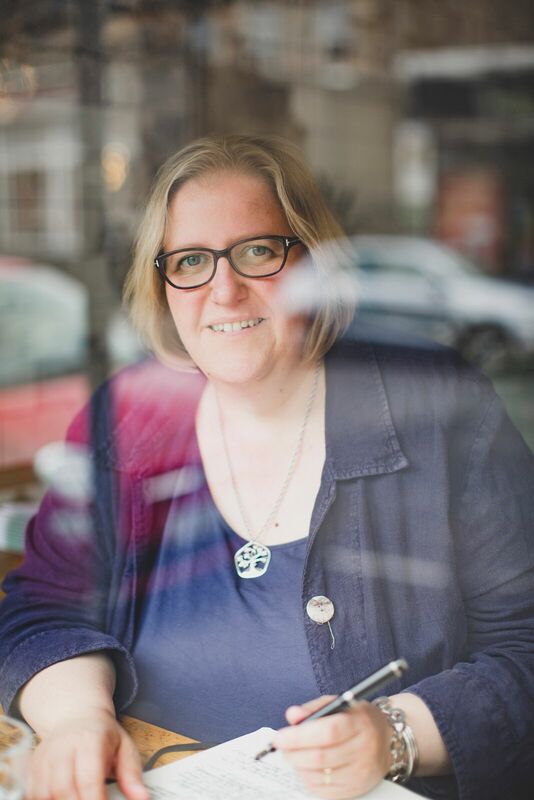 Q: I’m glad you mentioned Reckoning as I was going to ask whether you’re planning to concentrate on Jessica Daniel novels or whether you have plans to branch out? KW: Both! I’ve written 13 Jessica books and plotted a 14th. Nine have been published, with number 10 out in January 2016. But I’ve got loads on the go. There’s a young adult-fantasy-adventure trilogy, the second book of which is named Renegade and is out in May 2015. I have a spin-off from the Jessica series featuring a private investigator named Andrew Hunter. His first novel, Something Wicked, is already out as an ebook and is coming out as a paperback in July. Then I have a standalone crime novel, Down Among The Dead Men, that is set in the same world where Jessica and Andrew exist. That’s out as a hardback and ebook in September or October of 2015. Q: What’s your writing routine like? Are you someone who has to have complete silence and a special pen or can you tap away in cafes? KW: I can write anywhere. Trains, planes, benches, bus stations, airports, passenger seats of cars, hotels, shop window fronts in the Arndale centre…wherever. Generally I work at home on my sofa, laptop on, er, lap. I always have something on the go, whether it’s writing an actual novel, or plotting one. I get on with whatever interests me at the time. I might be writing a first-person novel for young people, or a third-person crime story, or something for Jessica. Sometimes I might write a couple of Jessica novels back-to-back, other times I’ll forget about her for a year. I don’t worry too much about it. Whatever’s in my head at the time. Q: That’s a lot to keep track of. Are you a plotter or do you start with a scene or an image and see where the story takes you? KW: I usually start with a single line. An elevator pitch. One sentence that sums up the twist, tone or basis for the novel. That becomes a bullet-pointed chapter-to-chapter breakdown, which then becomes a full-on plot that can run anything up to 16- or 17,000 words. When that’s done, I’ll re-read it, make sure there are no gaping plotholes or problems, then get to the actual writing. Q: Your background is interesting – a successful self-publisher now a best-selling author with one of the country’s biggest publishers. What would be your advice for would-be writers? KW: Get on with it. If someone wants to write, then write. All you need is a pen and paper and/or a laptop. Q: Finally, what’s your favourite bookshop? KW: 86th Floor Comics. They’ve had some money from me over the years…! 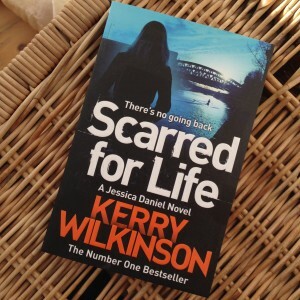 I have a copy of Kerry’s new Jessica Daniel title, Scarred For Life, to give away. If you’d like to be in with a chance, leave a comment below. UK only I’m afraid because of postage costs and the draw closes at midnight on Sunday 15th March. Good luck! This entry was posted in Author interviews and tagged crime, kerry wilkinson, self-publishing, writing. Bookmark the permalink. Love reading Kerry’s books, especially the Jessica stories. Scarred for Life is on my Amazon wish list! I cannot wait fir the new Jessica books to come out, they’re brilliant!